Well here we are – almost Autumn – and if you’re anything like us here at Just Lawnmowers then you are already lamenting the shorter days, the slight chill in the air and the damp mornings. The majority of gardeners love and loathe each season for various reasons. Personally I love a good autumn bonfire, it quite literally feels like I am making a fresh start in the garden and all that debris that was building up is gone in a puff of smoke, all it takes is an afternoon and a bit of patience. At my son’s insistence we check for hedgehogs, small rodents etc before we light the first (bit sometimes not the last!) match. Even if you’re not lighting a bonfire yourself somewhere in the neighbourhood you may catch the smell of someone else’s and suddenly your memory conjures up fireworks, conkers, hot dogs and cold misty days. I love days like this. Some gardeners hate the mess the Autumn brings, the leaves all over the lawn, the debris and the general messiness of the garden as plants fade and die. But we are of course on hand to help and here at Just Lawnmowers we stock all kinds of garden machinery, to deal with everything the seasons put us through. And at this time of year our garden vacs and leaf blowers especially, are quite literally flying off the shelves. So if you are thinking of buying a new one or getting one for the first time our handy reviews of 3 garden blowers and vacs may give you some insight into what you should be looking for before you purchase one. First up we have our best selling Stihl BG 56 C-E Leaf Blower. This sturdy, powerful handheld blower is ideal for those general garden clearing up jobs, featuring the Ergostart (E) making it easier than ever to get started. 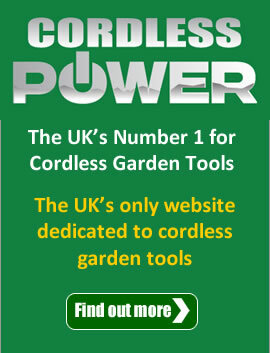 Easy to start and easy to handle and use, there’s no longer an excuse not to tidy up your garden! The specialised stop switch and the semi-automatic choke lever make clearing up your garden easier and more convenient than ever. Great value product as it offers 3-in-1 (blower, vac and mulching) capability. The 2 stroke engine benefits from a catalytic converter making this more environmentally friendly and economical to run. The multi-function control handle means your hand never needs leave the handle, making it comfortable and simple to operate. Buy the vacuum accessory to make this blower an extremely versatile must have garden tool. 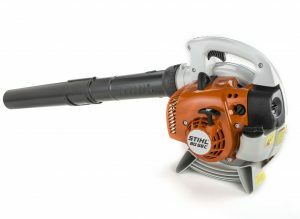 This Stihl BG 56 C-E Leaf Blower comes with a 2 year warranty. Right now you can buy it for £10 less than our usual price for just £189 (was £199) and that’s an amazing saving on the RRP of £255. And get a free Stihl cap while stocks last. Delivery is free of charge to most UK mainland postcodes. 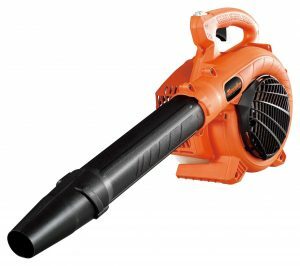 Our second choice is the Tanaka TRB24EAP Leaf Blower. You will be surprised to know that it is actually one of the lightest and most powerful leaf blowers in its class, a very fine achievement! A very reliable and hard working machine, it is aimed at both the homeowner and the professional user, easily capable of clearing leaves and garden litter from paths, lawns, car parks (and other areas) in no time at all. Being lightweight it is ideal for those smaller scale jobs, whilst being robust enough to tackle those larger jobs with ease and efficiency. It delivers quiet power and great fuel economy and is well balanced to make handling it easier than ever. You’ll enjoy peace of mind with the Tanaka Two-year commercial use warranty / Five-year domestic use warranty. This great blower is priced at £195.00 RRP £249.00 (SAVE £54.00). And if you buy from us you will receive a free mixing bottle & 100ml 2-stroke oil while stocks last. Delivery is free of charge to most UK mainland postcodes. 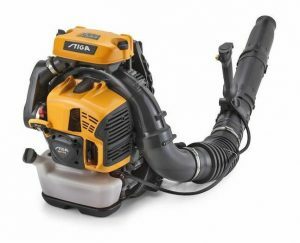 Our 3rd choice is the Stiga SBP 375 Petrol Backpack Leaf Blower. This leaf blower is Stiga’s most powerful one in the range. It is a great solution to the toughest of clearing up tasks. Clear leaves, litter and other debris over large areas fast with little effort. Huge air flow (25 m3/min) and high speed (100 m/s) are provided by a perfect fan design combined with a powerful and reliable 75.6 cc petrol engine. It weighs 15kg and features a recoil start for reliable starting every time. The best feature that we love about this leaf blower is the adjustable joystick handle with integrated throttle lock control. This gives you increased control and manoeuvrability making your job easier even if it’s a tough one! All the weight is comfortably sustained by the backpack and the global manoeuvrability is ensured by the adjustable joystick handle with integrated throttle lock control. Expertly designed for home and commercial use, this machine will short work of all types of garden debris whether you are clearing up after Mother Nature or someone’s outdoor party. The low noise is an added bonus – meaning you can work hard, safe in the knowledge you’re not disturbing people around you too much. This Stiga SBP 375 Petrol Backpack Leaf Blower comes with a 2 year warranty. Buy from us for just £339.00 RRP £379.00 (SAVE £40.00). Delivery is free of charge to most UK mainland postcodes. We hope you found this blog useful but please do get in touch if you need more information or to purchase one of our products. Our knowledgeable team are waiting by the phones for your call! You can call us during office hours on 01263 820202.